The Presidential Commission on Missing Persons has almost completed its task, according to Justice Maxwell Parakrama Paranagama, chairman of the panel. In a chat with The Hindu on Monday, Justice Paranagama said the Commission had virtually finalised its findings. However, he refused to say when he would submit the final report to President Maithripala Sirisena. “The President is busy these days,” he said. Constituted in August 2013, the Commission has looked into complaints about the disappearance of thousands of people in the Northern and Eastern Provinces during June 1990 to May 2009. In early April, the Commission submitted its preliminary report to the President. Asked about the procedure of making the reports public, the chairman said that once the reports were submitted, it would be left to the discretion of the President to take any action. According to the panel’s website, as many as 17,329 complaints from the residents in the two provinces and 5,000 complaints from families of security forces were received as on August 20. 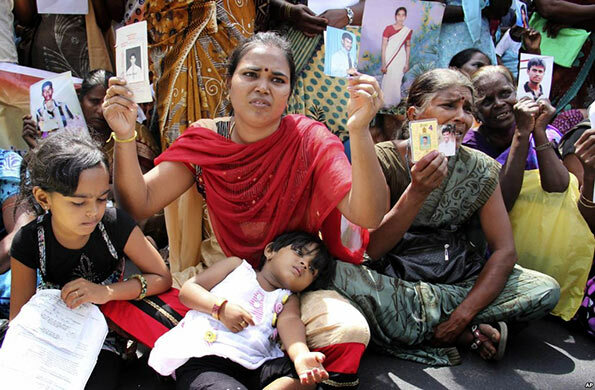 Meanwhile, women staged demonstrations in Mannar and Talaimannar of the Northern Province on Sunday, demanding the authorities to ensure the return of their relatives who went missing, according to sections of the Tamil press. Sunday marked the International Day of the Victims of Enforced Disappearances. The Sri Lanka Army (SLA) will continue to focus on the “well being of people in the North and the East,” Lt. Gen. A.W. J. Chrishanthe De Silva, SLA Commander, claims. He was responding to a question whether any time frame has been set to return private lands in the two provinces to original landowners. “We are looking at all options,” he added.